The Environment Pollution Control Authority has stated that as per its graded action plan to control air pollution, private vehicles will not be allowed to ply on Delhi roads from November 1 if current pollution levels persist. In the ongoing pollution crisis in the capital, Delhi-NCR recorded an overnight spike in the levels of particulate matter in the air on Tuesday, October 30. The city's Air Quality Index (AQI) was 398 points on Tuesday and in the 'severe' category. This is against 367 points on Monday and 366 on Sunday. The situation is worse in the outer reaches of the NCR, The air quality in Ghaziabad was the worst in the entire NCR region at 444 points, this dropped to 422 in Gurugram and 410 in Noida. 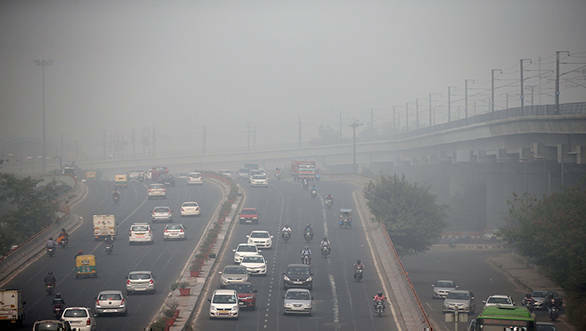 Bhure Lal, chairman, Environment Pollution Control Authority said he hopes that the air pollution situation in Delhi doesn't deteriorate or else they will have to stop plying of private vehicles. Only public transport will be in use. The Indian Institute of Tropical Meteorology (IITM) has also said that the present conditions have been aggravated because the prevailing meteorological conditions are less favourable for dispersal of pollutants, a condition that will persist for the next few days.